A powerful and exciting crime thriller where two characters go head to head over a bag of money while the detective tries to make sense of it all. No Country For Old Men is a movie that breaks most standard rules. Despite its originality and stylistic creativity, it still follows a carefully structured act-by-act breakdown, has characters both good and evil, has a clear mission and objective, and even has its two opposing characters parallel each other in a number of ways. And yet, it isn’t afraid to take a familiar story and bring it to a whole new playing field, where the most unexpected thing imaginable can happen, and often does. Case in point, the main character of the film dies off screen. That’s something that even brave movies which kill main characters, like Psycho or The Departed wouldn’t dare do. But No Country is different. It is a movie that appears on the surface to be a straight-forward cat and mouse chase film, yet defies the logic of most films in this genre by having characters that reflect on not only their own situation, but that of the men who came before them. Nearly fifty years ago, Alfred Hitchcock defied standard storytelling on film by killing off his main character in Psycho only half-way into the picture. 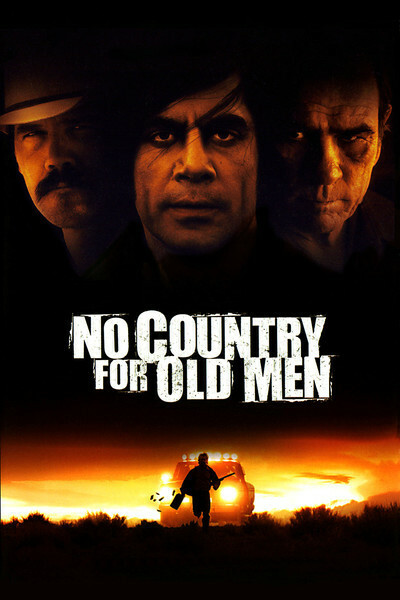 With No Country For Old Men, The Coen Brothers give Hitchcock a run for his money by breaking a number of the usual rules of cinema themselves. The climax, for example, is not placed at the end of the movie, but towards the middle with the two main characters partaking in a chase around a hotel and then a shootout that leads into the street. Both characters walk away from the shootout injured and never meet again. That’s not to say that they go separate ways and leave each other behind, but that other, unexpected forces come at them before they can again find each other. Another deviation from usual filmmaking that can be found in this film is allowing the main character to be killed off screen. The Coen Brothers have shown us this main character, Lewelyn Moss, getting shot on two different occasions already. By missing the final time he is shot, it is as if we are not missing anything we haven’t already seen before. We’ve seen him walk into gunfire and since none of it was enough to turn him from the path he continues to walk, when it happens a third time, we should not be surprised. The surprise isn’t that it happens, but that it happens off screen, and that we are treated only to a slanted angle shot of the character’s face and body, taken from above and off to the side. Why no close-up of his face? Because by this point his death is such a certainty, that he’s more of a statistic than anything else. He’s got the ultimate killer after him, and even still it’s other characters who end up killing him first. A third major surprise, also coming at the end of the picture, is that the movie concludes with a series of conversations between Sheriff Bell and different characters, and that the final conversation is more symbolic than it is literal. The first two discussions delve into opposite sides of the same debate. Sheriff Bell has been wrestling with the question of whether things are different now than they used to be in the time of his father, for the entire film, going all the way back to the opening voice-over monologue. Early on he talked about how in the olden days when his father was a sheriff, and even before that time, local sheriffs didn’t need to carry a weapon. His opening monologue ends with him presenting the current story to us of Anton Chigurgh, who is loaded into the back seat of a police car, handcuffed and ready to be taken in. Following the monologue about not needing a weapon, we see the deputy load Chigurgh’s weapon, an air gun used for killing cattle, into the vehicle. It raises the question of how a sheriff can walk around not carrying a weapon when going up against an unpredictable, and never before seen kind of evil like that. This man treats people’s lives as if they were those of cattle ready to be slaughtered. the hard, brutal, and senseless reality that this world has become. Other examples of Bell’s old world attitude and frustration with the current state of things come when he stops another pickup driver for not having a properly tied down load, and can’t arrest him, but is incredibly frustrated with the laziness and careless mindset of this driver. Bell is limited in the action he can take here, and the driver sees this, but doesn’t really seem to care. When Bell tells stories, which he frequently does throughout the film, he also uses them as an opportunity to show how disgusted he is with the way things have become. He tells of an old couple that were keeping people hostage in their house and even killing them until one day when a man escaped and ran out into the street wearing only a dog collar. His point is that it took this man running out like this for people to notice anything. That’s how bad things have gotten. This story with the man wearing the dog collar, being treated like an animal, is not that far off from Chigurgh carrying around a cattle gun to use on his victims and slaughter them like animals. Bell tells another story to Lewelyn’s wife, Carla Jean, about a man who shot himself with a cattle gun and now can’t raise his arm. When asked later on if it was a true story, Bell responds “it’s certainly true that it’s a story.” In other words, he has been around long enough to hear plenty of stories such as one about a man who can’t lift his arm because he shot himself. However the cattle gun part is probably mixed in there based on what Bell is currently pursuing with the case of Anton Chigurgh. The movie opens by plunging us right into the action with Chigurgh. In fact, even before we meet him, or any other character, we hear Bell’s voice over monologue about the way things are and the way they used to be. Then we see the deputy putting Chigurgh into a car. When they get to the police station, Chigurgh makes his move. He stands up behind the officer, wrestles him to the floor, and chokes the man to death. Taken from an overhead view, the look on Chigurgh’s face while strangling the deputy is one of pure madness. After killing the deputy, Chigurgh leaves in the police car and pulls over a driver on the road. Chigurgh then goes on to kill the driver using the cattle gun. After these two murders and an introduction to who Chigurgh is and what his weapon does, we meet Lewelyn out by himself in the quiet prairie. His first line is the last line we heard Chigurgh say. “Hold still.” Chigurgh said it to his victim. Lewelyn says it to the animal he’s about to shoot at. We stay with Lewelyn as he shoots and misses the animal, finds a trail of blood, and follows it over the side of a cliff. Down below the cliff is the scene of the murders and pickup trucks. Lewelyn goes down to the site and searches around for the money. He’s looking for “the last man” and rationalizes that if the man stopped anywhere, it would be in the shade. Turns out he’s right, and he finds the dead body of the man underneath a tree. Lewelyn goes home to his trailer and we meet his wife, Carla Jean. He tells her straight out what he’s got, but of course she doesn’t believe it or even think twice about it. Pretty soon, the two of them are in bed, and he’s lying there, wide awake, thinking about something. That’s pretty much where the first act ends. Lewelyn has found the money and we’ve gotten a little introduction to the man who will be coming after him. The second act begins with Lewelyn going back to the scene of the murders to bring a dying man some water. This is a severe act of generosity, to the point of putting Lewelyn at risk himself. He even realizes it, saying to Carla Jean, “I’m fixing to do something dumber than hell, but I’m going anyway.” And so he goes to the valley where the trucks still remain. Why does he go there? Karma. He’s thinking that he just found something which has the potential to change his life, and the least he can do is pay a favor back. Karma comes into place later on in this film too, with who happens at the end to Chigurgh. At the scene of the trucks and dead men, Lewelyn now returns at night, and leaves his own truck atop the cliff, overlooking where the murders took place. From down by the vehicles, Lewelyn notices that someone else has been there, and then he spots who that someone is, up by his truck on the cliff. He watches from down below as the tires of his truck are deflated and then the truck that the men are driving comes racing at him, bullets whizzing through the air. Lewelyn makes a narrow escape, but gets shot in the back and then falls off the side of a cliff. He ends up swimming in a river and then shooting a dog that comes after him. The next day shows us Anton Chigurgh at a gas station, giving hell to the attendant and challenging the man to a coin toss with life or death as the result.. The dialogue is haunting, as is Chigurgh’s calm demeanor when contemplating killing someone. We return to Lewelyn’s trailer to see him pack his wife up and tell her she needs to get going. Somebody will be coming after him. Because he had to leave his truck at the scene, with its tires slashed, it won’t be hard for someone to trace the license plate and find out who they need to come find. The final scene of the act has Chigurgh drive up to the pickup truck murders at nightfall, look around a bit, and then kill the two men he came with. Act 2 is a series of alternating scenes between Lewelyn and Chigurgh. In this act we see both men at the scene on two consecutive nights. We also get brief daytime scenes of each one, Lewelyn with his wife and Chigurgh at the gas station. Sheriff Bell is nowhere to be found in the act, and outside of the voice-over opening, has not yet appeared in the film. Keeping him far away is very intentional. This act is about setting the two protagonists on their journeys. By the end of the act, Chigurgh will be coming after Lewelyn and Lewelyn will be running away. The third act of the picture is very much about Sheriff Bell, starting with him and then traveling with him on his investigation. He is on horseback with his deputy when we first see him, and it is really his first appearance in the film, although most will not realize that because of the voice over beginning. How relevant, though, that his voice over (the first time we heard him) was about the old ways, and now the first time we see him he is on horseback? Bell and his deputy ride up to the scene of the crime. This is now the fourth time we are seeing the trucks, and Bell might be comfortable with his old ways, but clearly he is way behind the times. It is now some days since Lewelyn first found the vehicles, and even Chigurgh is ahead of Bell at this point. Chigurgh goes to Lewelyn’s trailer, shooting the lock through the door with his cattle gun. He sits down, looks through some phone bills, and drinks some milk which he calmly takes from the refrigerator. We cut to a scene of Lewelyn putting Carla Jean on a bus. It’s not a completely necessary scene except that it separates the last scene of Chirgurgh in Lewelyn’s trailer from the next scene, of Bell in Lewelyn’s trailer. Bell sits down on the couch, just like Chigurgh did, makes note of the fact that Chigurgh was just there drinking the milk, and remains calm and unenthusiastic about this revelation. Lewelyn meanwhile, is long gone, and now we see where he has gone off to and what he is doing. He has checked into a motel, stashed the money bag in an air vent, used the hanger pole to shove it all the way in, and is now constructing a device out of tent poles and hanger hooks that will help him get the money bag back out of the vent. The final scene of the act has Chigurgh arrive at the motel, tracking Lewelyn using a transmitter that responds to something inside the money bag. Chigurgh might be on top of things with the transmitter, but Lewelyn is pretty clever himself, stashing the bag in an air vent that reaches all the way down to another room. Chigurgh busts into that room, shoots the men inside, and realizes that Lewelyn has pulled the wool over his eyes. He unscrews the air vent to see the tracking marks on the floor of where the bag was stashed and how it was pulled through the vent. Lewelyn is now long gone. The fourth act opens with a new character being introduced. The character is Carson Welles, the bounty hunter, hired by a head boss who is the man behind the money that went missing. The boss talks to Welles a bit about Chigurgh and then sends Welles on his way. Lewelyn, meanwhile, has now checked into a hotel. From motel to hotel, one major difference is that now the security has improved. Chigurgh can no longer bust straight into a room, but would now have to go through the lobby of the hotel first. Lewelyn makes a note of that, by asking the hotel manager to telephone him if anyone at all shows up. In his hotel room, now, Lewelyn digs through the money bag. He knows that somehow the man who is after him was able to find him at that motel, and whatever it is, it is not by any mistake he made. He finds the transmitter, but by then Chigurgh has already found him. The phone line is dead and now Lewelyn sits on the bed watching the door. He watches the shadow of feet stop at his door before walking away. The sound of light bulb twisting can be heard and suddenly the hallway goes black. Lewelyn is still staring at the door, gun in hand, ready to act, only now he can’t see anything. It is the scariest moment in the film. The anticipation of the man on the other side of the door. Hitchcock would be proud. The Coen Brothers are smart enough not to show Chigurgh at all. Not entering the hotel, killing the manager, and certainly not standing there in the hallway. The less we see, the scarier it is, the more our mind can wander and the more we feel like Lewelyn, sitting there trying to figure out what is going on. Suddenly the lock shoots out and comes flying right into Lewelyn’s chest. He fires at the door and then gets up and starts heading toward the window. By the time Chigurgh retaliates and comes into the room, Lewelyn is already on his way out the window. He takes a gun shot and then drops out of sight. This gunshot wound happening right as he is dropping is very much like his gunshot wound from earlier, hitting him right as he was about to fall off the side of a cliff. Lewelyn doubles back into the hotel, only to see that the manager is dead. He takes a different exit out into the street, but Chigurgh is still on top of it, firing away. Lewelyn stops a driver and gets in the car only to see bullets whiz through the glass and the driver get shot to death. These bullets hit the glass so quietly and with such precision. They hit over and over again in the exact same spot, completely blinding Lewelyn from picking his head up to drive the car. But he tries anyway and doesn’t get far before crashing. This is the climax and both men have already been shot. Chigurgh took a bullet while at the door of the hotel room and Lewelyn took one while on his way out the window and maybe more than one since then (he is now bleeding around the neck, although some of it can be the blood of the driver who was sitting beside him).Lewelyn leaves the vehicle and proceeds to look for Chigurgh on foot. He uses the trail of blood on the ground, just like he did early in the film to look for the animal he thought he shot. It leads him to a car and Lewelyn shoots the tires out, much like the tires were taken out of his own pickup truck back in the beginning. He might be using tricks that were used against him earlier, but this is not his area of expertise, and Chigurgh gets away. Still, the scene took a very unexpected turn with the hunted becoming the hunter. Both men leave the scene with bullet wounds and Lewelyn knows he needs to get to a hospital and lay low for a while. He crosses the border into Mexico and on his way across the bridge, throws the bag of money off the side. That ends the fourth act. The fifth and sixth acts are where everything gets resolved, or at least comes toward an ending. The climax is over and now it’s time to get going. The fifth act starts with Sheriff Bell setting off to meet Carla Jean in Odessa. This is the first sign of progress he has made with the case since going to Lewelyn’s trailer. We wake up in the hospital with Lewelyn as Carson Wells sits beside him. Wells is shocked that Lewelyn has met Chigurgh and is still alive to tell about it. We are not as surprised, because we have come to notice how evenly matched the two characters are. In the shootout, for example, both men walked away with bullet wounds, and there was no victor. After the hospital scene, we are with Sheriff Bell as he meets Carla Jean at a coffee shop. Bell tells her the story of the man who can’t lift his arm, and it seems insignificant considering what else is happening now in the plot. The truth is, in both the hospital scene and this coffee shop scene, nothing is revealed, and yet both scenes are far from insignificant. Lewelyn doesn’t reveal to Wells where the money is and Carla Jean doesn’t reveal to Bell where Lewelyn is. Yet both Wells and Bell find what they’re looking for as a result of these conversations. Following the Bell meeting with Carla Jean, we see Wells walking over the bridge, crossing the border, and he knows exactly where to look for the money. Something about his meeting with Lewelyn gave it away. He spots the bag of money, tossed over the bridge, smiles, and keeps going. It won’t be the easiest thing to retrieve and he will have to come back later. Unfortunately, Wells never makes it to later. He enters his hotel, walks up the stairs to his room, and finds Chigurgh walking up the stairs behind him. The two men go to Wells’ room together where Wells tells Chigurgh that he knows where the money is. Chigurgh doesn’t believe it and tells Wells that if he knew, then the money would be there with him. We, of course, know that he’s wrong, but Chigurgh never thinks twice about it, just like Carla Jean never thought twice when Lewelyn told her that he had a big bowl of money. Chigurgh sits there, taking his time, until the phone rings. Then Chigurgh continues to sit there, letting the phone ring a bit, before shooting Wells and answering it. The phone call is one of two that end the act. This call is between Chigurgh and Lewelyn. Both men proceed to taunt and challenge each other on the phone, but little do they know it will be the last time they speak to each other. The next phone call is from Carla Jean to Sheriff Bell. His meeting with her did pay off after all, because it earned her trust and now she is ready to bring him in to help her husband. with the groceries, and get her to reveal where she and Carla Jean are going. Carla Jean, meanwhile, second guesses her husband by calling Bell. The truth is, Lewelyn has been shot already on two different occasions, and she might be correct. In that case, Lewelyn’s path led to death either way, whether or not Carla Jean left her mother to make the call. The sixth and final act begins with this phone call where Carla Jean tells Bell where he can find her husband. In the next instant, we are with Bell, driving down the street as the sound of gunfire popping away, fills the air. A jeep spins out onto the road, ahead of Bell, with Mexican men hanging onto it, but instead of going after the jeep, Bell turns into the parking lot of a motel. He gets out of his car and sees the dead body of a woman in the pool. This is the woman who just moments ago was talking to Lewelyn when he told her, “I’m looking out for what’s coming.” He was looking for Chigurgh, but not for these Mexicans. These men listened to Carla Jean’s conversation with Bell and got to where she told him he could find Lewelyn just moments before Bell did. It’s just like arriving at Lewelyn’s trailer moments after Chigurgh had been there. Bell is one step behind, but it is a major step and enough to make all the difference. Bell approaches the motel and we see an open room with Lewelyn’s lifeless body facing up on the floor. Our hero is dead. So is Carson Wells and the boss who hired him (in a very quick scene that took place earlier, Chigurgh pops into the office and shoots the boss). Only Lewelyn wasn’t killed by Chigurgh, he was killed by the Mexicans. Indirectly he was killed by his wife and Sheriff Bell. And the only two people who knew where the money was, Lewelyn and Wells, are no longer alive to tell about it. Now we approach the end of the movie. Bell meets with a colleague at a restaurant to discuss how times have changed, but then before leaving the town, he stops by the motel room one more time. He sees that the lock is shot off, just like all of the others where Chigurgh has been. It turns out Chigurgh is still there, hiding behind the door of the room. Chigurgh is ready to kill anyone who can help him find the money, but Bell knows even less than he does. Bell enters the room, turns on the bathroom light, and sits down on the bed. It’s a bit surprising that Chigurgh does not kill him, considering how loose Chigurgh has been throughout the film about killing anyone. But he kills people who will help him get ahead, either by stealing their car or by knowing about the money. The gas station attendant who he thought about killing got on Chigurgh’s nerves by asking questions about where he was from. Bell in the motel room does none of these things. And so Chigurgh lets him leave. But not before Bell notices that the air vent is unscrewed and a coin is on the floor beside it. Chigurgh used a coin to unscrew the vent in the motel earlier. This all shows us that Chigurgh is still after the money and that it’s the reason why he came back to the motel room. Bell goes on to have his second conversation, the one where he tells his Uncle why he’s retiring and his Uncle assures him that the world is no more evil now than it used to be. In this conversation Bell talks about how he always thought god would come into his life one day, but he never did. We are meant to think that god was in his life, protecting him from Chigurgh in that last motel scene, only Bell didn’t realize it. We see Carla Jean burying her mother, who died from Cancer. After the funeral, Carla Jean returns home to find Chigurgh sitting in a chair in the bedroom, waiting for her. He does not have a gun with him, which could be directly linked to Lewelyn, his toughest adversary, no longer being a threat. Chigurgh does kill Carla Jean none the less, as can be seen from his checking his boots for blood when he steps out of the house. His interest is the money, and he has no doubt come to her house in hopes that she had the money stashed away somewhere. When he doesn’t find it, he decides to make good on his promise to Lewelyn and kill his wife. He is a man of principle, but not before money. Chigurgh leaves the house, gets into a car, and drives off. Suddenly another car slams into him. We watched the traffic light Chigurgh went through to see that it was green and in no way his fault. On top of that, Chigurgh was going nice and slow through the intersection. The collision is not a random act of fate, but more like a message from above that Chigurgh has gone too far in taking the life of a woman who is not only innocent, but is grieving the loss of both her husband and mother. The message or messenger point is driven home by the fact that we never see the other driver. Not even after the collision. The collision is massive and leaves Chigurgh with a bone sticking out of his arm. Two young boys who were riding bicycles come by and help Chigurgh out. One of them gives Chigurgh his shirt to use as a sling and does not want any money for it. Chigurgh gives him the money anyway, and the next thing you know, the two boys are arguing over the money. This scene is comparable to the one where Lewelyn, all bloody and injured, was crossing the border into Mexico. On his way across, he came upon some college students and asked them for their jacket and beer. The students tried to make money off of the situation in every possible way. The scene with Chigurgh not only parallels that scene, but it shows how kids get to become greedy like those college students were. The boys try to give Chigurgh the shirt without taking a thing from him in return and he refuses the offer. He insists upon paying them and it only makes them more greedy, arguing with each other about the money as he leaves. There are plenty of other parallels between Chigurgh and Lewelyn throughout the movie. When we first see Lewelyn, he takes aim on a motionless animal and fires only to see the animal run away. When Chigurgh drives over a bridge later in the picture, he sees a bird sitting on the bridge and reaches his gun out the window to fire at the bird. The shot misses and the bird flies away. During the course of the movie, both men receive multiple injuries and often treat the injuries themselves. They both stitch themselves up at different points in the film. By the end of the movie, Bell is not able to save Lewelyn. He then goes to meet a local sheriff friend in the area and they sit down to discuss how times have changed. The local sheriff agrees with Bell. They talk about teenagers now with dyed green hair and bones in their noses. Bell expresses the opinion that things go downhill once you stop hearing people say Sir and Ma’m. But then, the next conversation goes a little differently. Bell visits his Uncle in a run down trailer crawling with cats. The man is wheelchair bound after having been shot in the back and tells Bell a story about a man being shot on his own porch, some decades ago. His point is that times are not any different now than they used to be. People keep talking about the good old days, but those days weren’t any safer than these. There is evil now and there was evil then too. Finally Bell sits down at the kitchen table to tell his wife about his dreams. Both had his father in them. The first one is less clear to him, but involved his father meeting him in town and giving him some money. In the second one, both men are on horseback, a reference to the olden days and to Bell’s attempt to remain a part of that generation. Bell is now older than his father ever was, and so in the dreams, Bell is the older man. It is a cold night, and his father rides past him carrying fire in a horn and never looks at him or says anything, but Bell knows that when he gets to where he is going, his father will be there with a lit fire waiting. Is this dream about heaven and how his father will be there waiting for him? Probably. But the fact that Bell doesn’t follow him just yet or that his father never turns to him, looks at him, or says anything, indicates that it is not Bell’s time yet. This dream could mean that Bell will be coming out of his recent retirement, especially after the conversation with his Uncle that took place on screen just moments earlier, or after he receives word of what happened to Carla Jean, just killed by Chigurgh. Bell was fond of Carla Jean, the only one who really trusted him enough to give him some insight into the case and talk to him. Bell’s story in the film is about the different lifestyles of past and present, and coming to terms with either retiring or not. In many ways he is not the main character, but a narrator. For one, he never meets either one of the other two main characters, not Lewelyn nor Chigurgh. But there are plenty of other characters who do meet both of these men. Carla Jean meets both of them. So does a Carson Welles, a bounty hunter with a keen knowledge of Chigurgh who is hired to track both the man and the money. 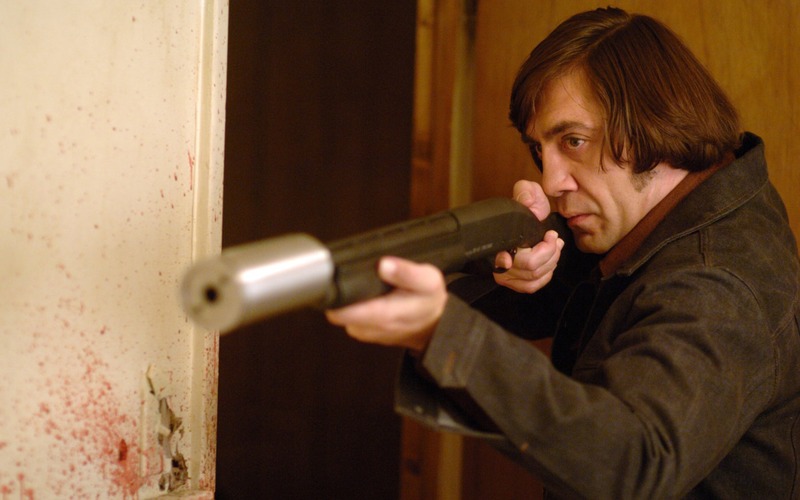 No Country For Old Men is a unique movie in it’s willingness to break from standards and be about something more than just action or suspense. It has themes, such as the changing times and greed being more powerful than anything else, including generosity. Lewelyn isn’t rewarded for trying to bring water to the man in the truck, but punished for it. Just like Carla Jean is punished for trying to help her husband out by telling Bell where he can be found. One of the many lessons learned is to not second guess one’s thoughts, which is what Lewelyn did when he returned to the scene with water, and it is what Carla Jean did when she left her mother to call Bell and tell him where to find her husband. Another theme is that greed does not pay out and is better off left alone. When Lewelyn tosses the money over the side of the bridge, it is unclear whether he is trying to get rid of it for good or whether he plans to come back for it at a later time. Either way, it is too late. In the end, there is no neat resolution. Nobody has found the money and perhaps nobody ever will, but it certainly had a large impact on the lives of a number of characters without a dime of it ever being spent. 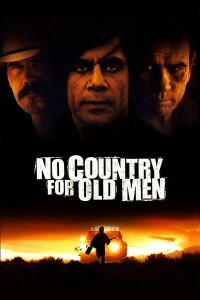 The movie uses Sheriff Bell as a narrator at the beginning, an investigator who tries to help throughout, and finally the only man smart enough to walk away in the end. Chigurgh and the Mexicans will likely continue pursuing the money and maybe even suspect each other of having it or knowing of its whereabouts. But Sheriff Bell has taken himself out of the equation, and not a moment too soon. He does not know how close he came to death in that motel room, but we do. In a sense this movie has been Bell’s story, opening with his voice over about the story he was going to be telling us, and ending with this case being his last and his reason for him to finally leave the job. It is the story of many characters who met their end because of a large bag of money that was taken from the hands of men who died without ever a thought of caution that what happened to those men could happen to the next person who tried to take the money as well.